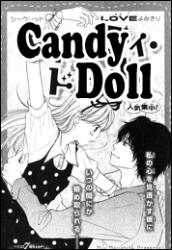 Rika can be considered lucky: she was able to get the boy of her dreams, Ando-senpai, but things aren’t going so well between the two. Ando is always skipping they’re dates and what’s with this quote she’s always hearing from Andou’s classmate, Kijima-senpai: “You’re just like a doll.” Is it because of her name, or because she always acts the way Andou tells her to? Why would he even care? Read it to find out!